A second wave of stars is headed for the Oscars® stage on Sunday, February 24. Academy Awards® producer Donna Gigliotti and co-producer and director Glenn Weiss announced today thirteen more Hollywood luminaries to celebrate the year in movies. 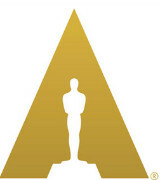 The Oscars airs live on the ABC Television Network, and will be broadcast in more than 225 countries and territories. Awkwafina, Daniel Craig, Chris Evans, Tina Fey, Allison Janney, Brie Larson, Jennifer Lopez, Frances McDormand, Gary Oldman, Amy Poehler, Sam Rockwell, Maya Rudolph, Amandla Stenberg, Charlize Theron, Tessa Thompson and Constance Wu. The 91st Oscars® will be held at the Dolby Theatre® at Hollywood & Highland Center® in Hollywood, and will be televised live on the ABC Television Network at 8:00 p.m. EST/5:00 p.m. PT.